YOUTH under 19 can sign up for a FREE ticket on this website at sparkmediaproject.org/REtix. Spark Media Project (previously Children’s Media Project) provides media literacy education and workforce development programming in after-school and school-based settings for the youth of Poughkeepsie and the Hudson Valley. 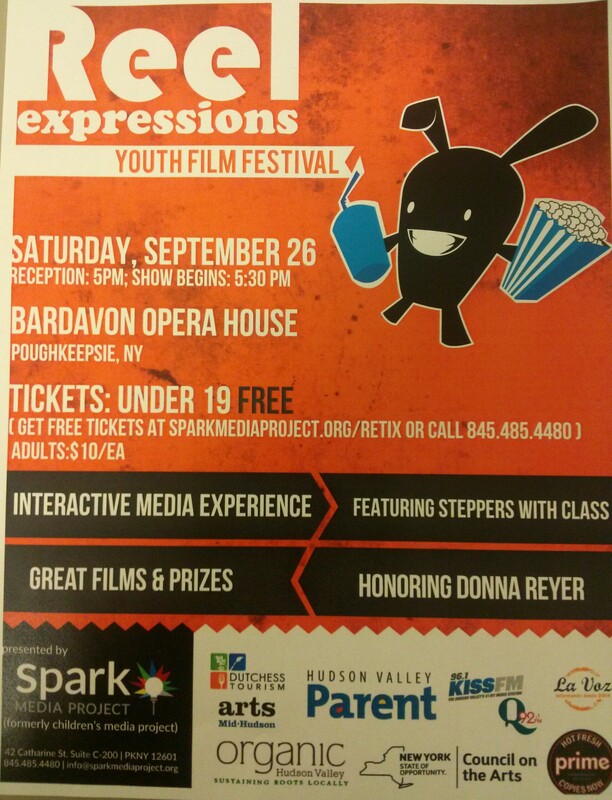 Posted in Community Charity, Events and tagged Bardavon, Dutchess County Legislator District 14, Francena Amparo, Legislator Amparo, Legislator Francena Amparo, Poughkeepsie, Reel Expressions Youth Film Fest, Wappingers Falls on September 24, 2015 by Dutchess County Legislator Francena Amparo.